The purpose of this study was to determine the suitability of coffee silverskin (CSS) supplementation to enhance phenolic content and antioxidant capacity of cookies. Cookie samples were prepared with partial replacement of wheat flour by CSS (2.5, 5.0, and 7.5%). Spread ratios were found lower in all cookies with CSS than in control. Cookies became darker with increasing levels of CSS. This is due to the fact that CSS has a dark color like cocoa. 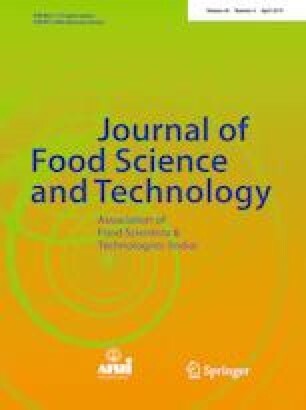 CSS supplementation had improved functional quality of cookies by increasing phenolic contents, antioxidant capacities, and in vitro bioaccessibilities of them. According to the sensory evaluation, all samples with CSS received 6 and above scores (6: like slightly, 7: like moderately) for all attributes from the panelists. The results demonstrated that CSS supplementation have a good potential for developing functional and acceptable cookies and similar bakery products.